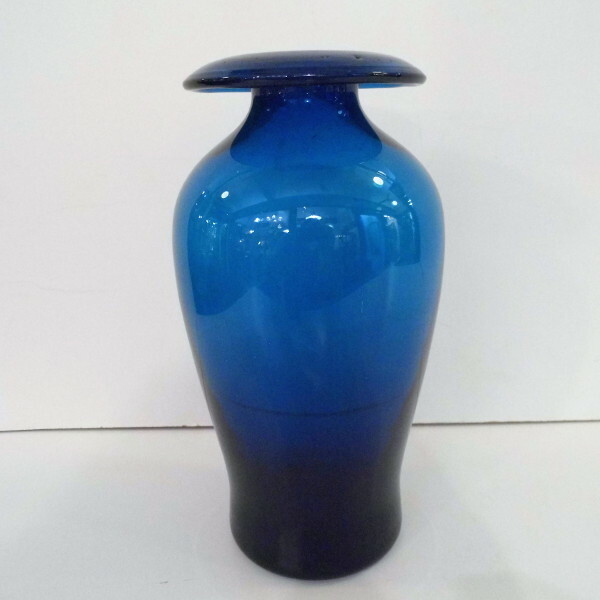 An attractive Blue Mid Century Vase probably Scandinavian circa 1960 . Would look great on a Danish Rosewood Table. 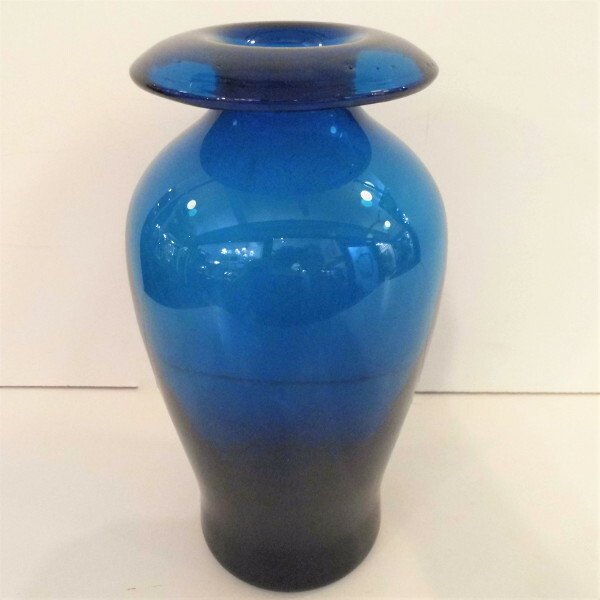 i particularly like the amphora shape of the handblown vase which is possibly by Jacob E. Bang for Holmegaard glass of Sweden.